Step 2 Combine the butter, olives, capers, parsley, green onions, mayonnaise and cheese together. Step 3 Slice the sub sandwiches lengthwise. Step 4 Spread the mixture all over the sub sandwiches. Step 5 Bake for 10-15 minutes until the cheese is golden and melted. 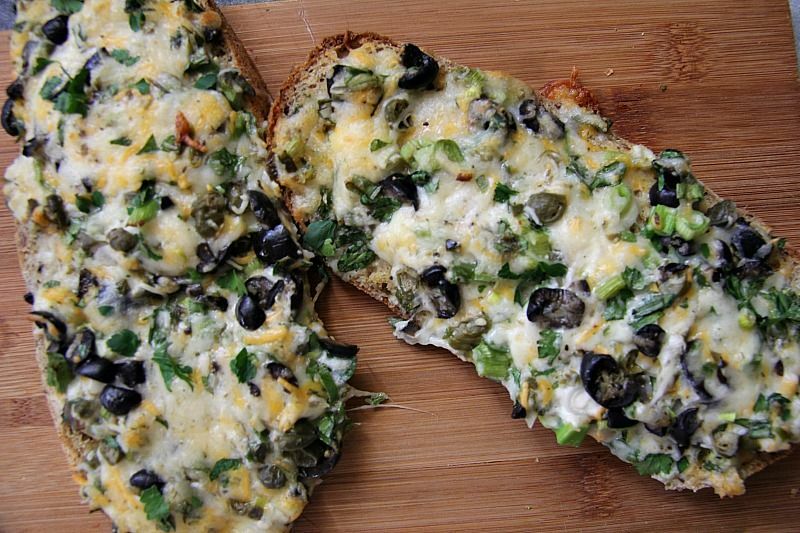 This cheesy olive bread is a fast and tasty dish that makes a great appetiser or lunch. It’s a great dish to make when you are hungry and in a rush. The topping is just so moreish. I had originally seen a cheese olive bread recipe on the Pioneer Woman’s website and although it was slathered across French bread, I thought that it would be perfect for my low carb sub sandwiches. So, I made this into a low carb cheesy olive bread. As well as a delicious lunch, you could cut the bread into slices once cooked for a delicious appetiser.